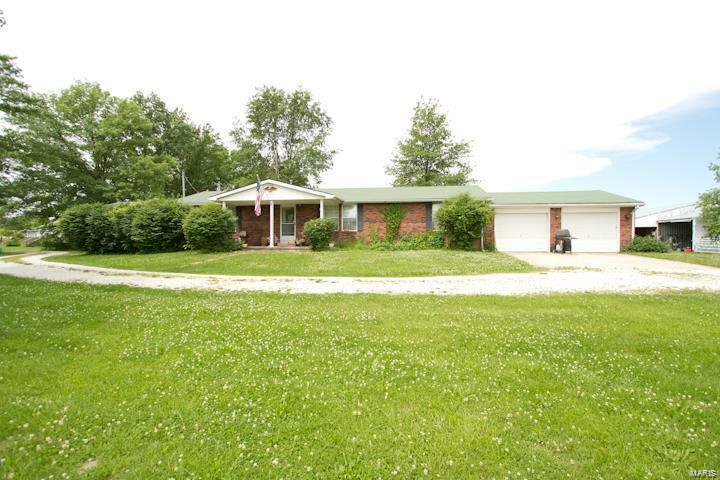 Brick, 3 bedroom, 2 bath home on 12 acres of property with easy access to Hwy 61! Economical price for the value! Land is open and flat making it ready for immediate use and growth. Large 68x80 building wired for electricity. Building currently being used for horses, but is large and open enough to be used for anything you need. Property previously used as a headquarters for a trucking company. 3 bed, 2 bath single family ranch with almost 1500 sq/ft also on the property. Additional acre parcel currently with manufactured home is also available to purchase as an addition to the 12 acres. Flood insurance is only $600 annually. Make this the base of operations for your next venture!